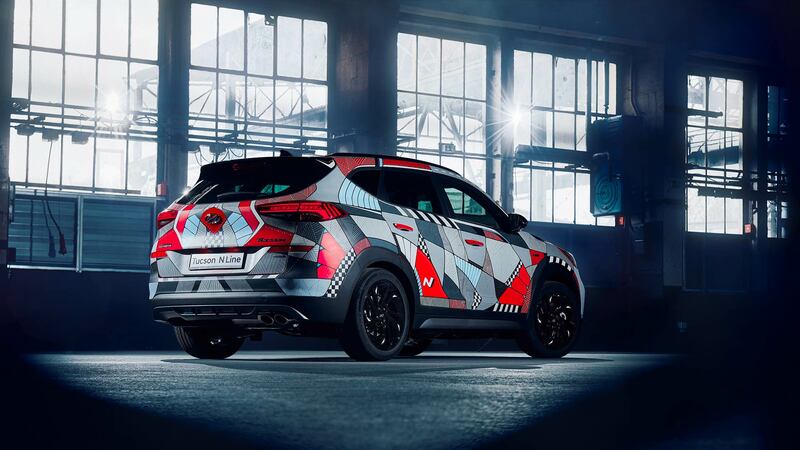 Hyundai has enlisted the help of renowned artist Andreas Preis to create a special one-off edition of the Tucson. 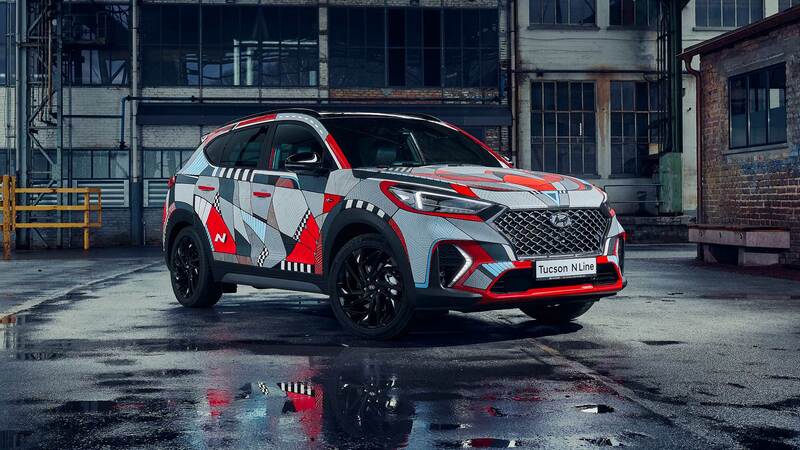 Designed to celebrate the launch of the sporty N Line version of the popular SUV, the ‘Drive a Statement’ project has seen it gain a radical makeover. The Korean brand has made major steps in recent years to appeal to performance enthusiasts. Motorsport activities have also seen the company competing in the World Rally Championship, along with entries into touring car racing. Bavarian-born Preis has worked with a number of global brands, including Adidas, Nike, Microsoft and Samsung. His work typically focuses on creating elaborate and detailed murals, along with illustrations and live paintings. With examples of his art having previously adorned everything from books to buildings, making a SUV look impressive was just another day at the office. Or three days in the studio, to be exact. Having come up with a design, Andreas then spent an incredible 72 hours painting the Tucson N Line… by hand! 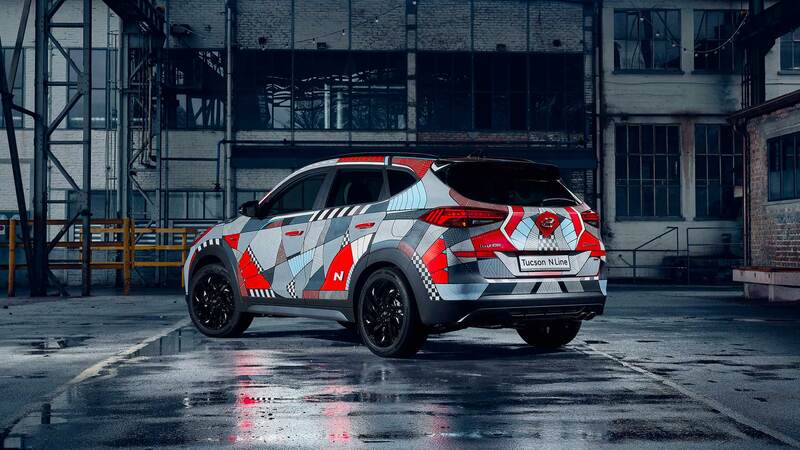 The design itself was a nod to the racing cars used in the WRC and TCR championships, along with the features seen on the performance i30 N and Veloster N machines. 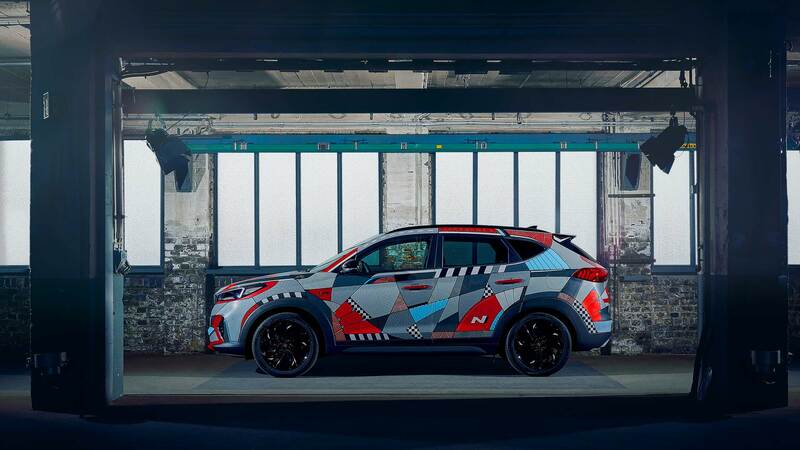 Preis is said to have incorporated elements of chicanes, corners, and flags into the special Tucson, creating a patchwork mural of racing inspiration. Hyundai’s signature Performance Blue paint option also makes an appearance, with Andreas particularly keen to make the Tucson N Line appear to be going fast, even when parked up. Engine Red is the main hue hiding beneath the artwork, with the wider N Line palette of black and white also involved. Preis claims to have paid particular attention to highlighting the gloss black trim used for the side mirrors, rear spoiler, and headlight bezel on the Tucson N Line. The new Tucson N Line is the first SUV in the Hyundai range to be given the overtly sporting trim level. Other changes include a dark mesh front grille, surrounded by dark chrome trim, along with dark 19-inch alloy wheels. Stiffer suspension, and changes to the power steering system, are said to make the N Line more engaging to drive.